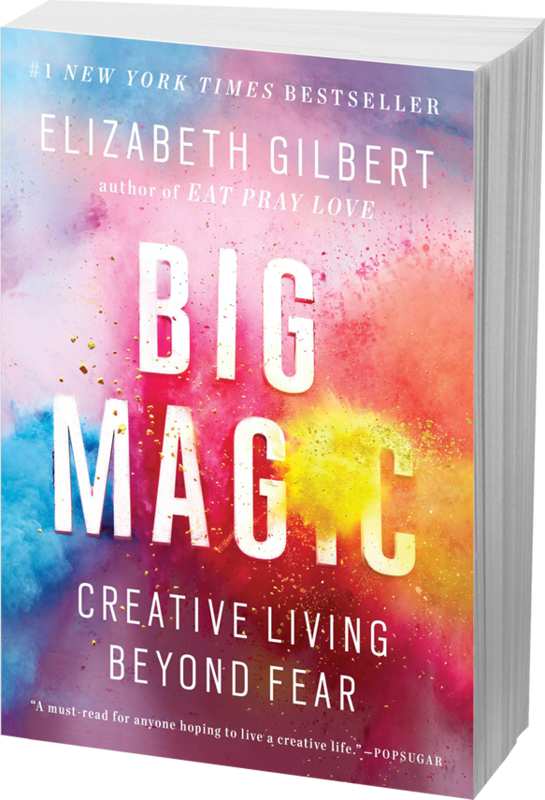 This past summer I read Elizabeth Gilbert's latest book, Big Magic. It was definitely the right book at the right time for me. 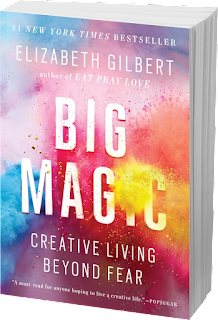 There are so many parts of Big Magic that resonated for me, but the part I needed to hear the most was Gilbert's take on where ideas come from and how they work. Gilbert believes that "our planet is inhabited not only by animals and plants and bacteria and viruses, but also by ideas." She suggests that ideas "are completely separate from us, but capable of interacting with us . . ." and that although ideas have no material body, they do have consciousness and will. Here is my favorite part: Gilbert wholeheartedly believes that "ideas are driven by a single impulse: to be made manifest" and that "the only way an idea can be made manifest in our world is through collaboration with a human partner." Gilbert believes that ideas spend their days "swirling around us, searching for available and willing human partners" and that ideas will identify a particular human and try to get noticed. Some ideas are more patient and will stay around for a good, long while, whereas others will knock briefly and quickly move on. Gilbert says that since an idea's primary aim is to become manifest, they will "always try to seek the swiftest and most efficient conduit to the earth." (Big Magic, Chapter Two). I could go on and on about this book, but I won't. You really need to read it yourself. What I will say, is that this book, and particularly this discussion about ideas, transformed the way I started thinking about my own creative work. 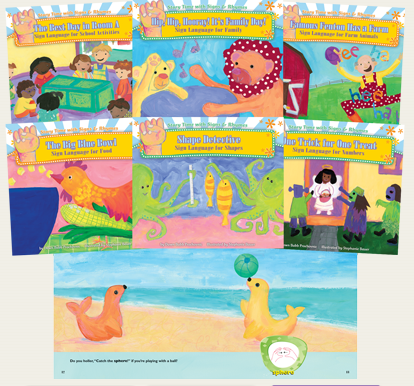 When I first started developing my sign language books, I was obsessed with not only writing the stories, but with finding a publisher to bring them to life. I believed with every ounce of my being that these stories had a purpose to fulfill and that they needed to find their way out into the world. I was passionate about this project, and I submitted my work regularly. I received heaps of rejection letters, but somehow these rejections did not dissuade me. Each "no" I received only strengthened my resolve to find the right publishing partner for my project. Eventually, I did find the right publisher, and in a period of four years Abdo Publishing Group published 16 of my stories. I was a willing, committed human partner for the sign language story idea, and the idea was made manifest. 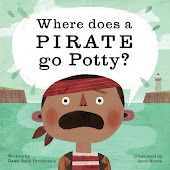 After the Story Time with Signs & Rhymes series was accepted for publication, I continued to write new and different stories, but my writing time was more fractured. I had book launches to plan and blog posts to write. I had writing workshops to present and school/library author visits to participate in. I had no shortage of new ideas coming my way. I wrote and revised new stories until I felt they were ready for publication, but then I set them aside and moved on. Although I did submit my ready work to an agent or editor now and then, somewhere along the way, the "no's" began to diminish my confidence and resolve. Although I genuinely loved and believed in the stories I had written and was sending out into the world, I didn't take any one story under my wing and insist on finding it a publishing home. I dabbled with submissions here and there, but mainly moved on to writing new stories. During this time, I accumulated quite a collection of submission-ready work. Eventually, I got to a place where I wasn't able to effectively focus my creative energy on new story ideas long enough to complete them. I had new ideas coming at me rapid fire, and although I captured as many of these ideas as I could in a bulging "idea file," I didn't choose any one idea to attend to. I'd write a story outline or character profile, then tuck my notes away and shift my attention to advocating for libraries. I'd work on revisions for a different story, then set that file aside while I shifted my attention to arguing with the local school district about impending boundary changes. I told myself I was letting my stories percolate while I worked on these other projects, but in reality, most of my creative energy was focused on these other concerns. I don't regret for a minute all of the energy I gave to these non-writing projects, but I now have a better understanding of why the ideas that had once captured my attention with vim and vigor no longer seemed energizing or compelling when I returned to their waiting files weeks or months later. I told myself that the ideas must not have been as good as I'd thought they were when I first started working on them. Gilbert would likely explain the situation differently. I suspect she would say that each "neglected idea did what many self-respecting living entities would do in the same circumstance: It hit the road." It turns out this one shift in perspective made a really big difference in my creative life. As this past summer wound down, and I delivered my oldest child to college and settled my youngest child back into high school, I told the universe I was ready to renew my focus on creative writing and bring some new ideas to fruition. I distinctly remember sitting down at my computer in early autumn, ready to give my full attention to the story idea I thought I was supposed to be working on. I again told the universe I was ready, and then I got down to business. I stumbled through the early pages and stages of this story idea, but felt like I was at least moving the idea forward. There was one particular day I was scheduled to host a big dinner party for my son's cross country team. I didn't plan to write much on that day, but I still wanted to give my story a bit of attention so it knew I was serious. That was the day a different, very noisy and persistent idea knocked on my door and insisted on being noticed and written. I tried to ignore the noisy idea, but it would not be quieted. I finally opened up a new document file on my computer and said, "Fine. I'll take down some notes, but then I need you to settle down and wait your turn." 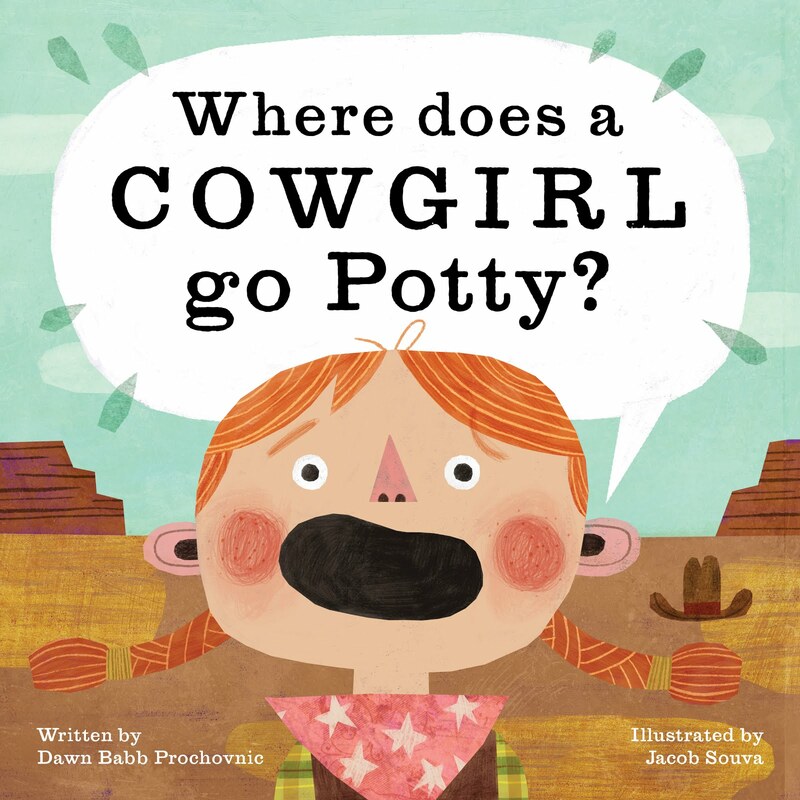 And then, this beautiful, poetic picture book tumbled out onto the page. I was dumbfounded. And excited. And acutely aware of the fact that this was the story I needed to attend to in that moment. The poem did not tumble onto the page with absolute perfection, but it was pretty close to being complete upon its arrival (which, by the way, is not how new stories typically emerge from me). I spent the day readying for the dinner party as planned, but I kept the document open on my computer. I put table cloths in the washing machine, then hurried back to my desk to jot down some changes. I set up all the tables and and chairs I would be using in the back yard, then returned to my writing space to get down some revised details. I worked on my chores, and attended to my story all day long. After that one wild day, I transitioned into a more traditional mode of revision, then shared the story with my critique group, and made more revisions, until I felt satisfied that the story was ready for the world. Throughout the revision process I felt a strong commitment to see this story through to publication. I started researching publishers. And reading comps. And writing and polishing my pitch and query letter. I made a promise to this poetic picture book that I would find it a publishing home, and I am committed to doing what I can to make good on that promise. I've put together a submission plan and have started implementing that plan. I haven't yet found the right publishing home, but I've started the process of putting this story out into the world. I haven't felt this motivated and committed to a publishing goal since I started my sign language stories many years ago. And that's not all. Two completely different, but equally spectacular ideas have knocked on my door. When they said, "Do you want to work with me?" as Gilbert said they would, I've said, "Yes," and I've dedicated some quality creative space for each of these ideas. I've agreed to be the human partner for these ideas, so they can be made manifest, and as a result, some delightful new stories have tumbled out onto the page. I've fulfilled a portion of my commitment to these ideas by helping them find their way onto the page. Soon I must help them find their publishing home. Not only that, I've committed to the same for several of the stories I completed over the past few years that have been waiting patiently in a file drawer. It's time to research more publishers. And read more comps. And get busy writing and polishing my query letters. This blog space may be quiet for a bit longer. I have work to do. I'm "On Submission" as they say. I'll be sure to let you know when I have my own Big Magic news to share.